I think for the Inuit, going out on the land is just as much a part of our life as breathing. … We are land people. So if we don’t get out then, for our mental well-being, it’s like taking part of your arm away. …It’s like you are not fulfilled. There is just really something missing. I think we take great pride in being able to go on the land and just feel that energy when you get out on the land. For some people, it’s just like taking medicine. It’s challenging when you’re living a different lifestyle then, but still living in the same area. …it’s a depressing feeling when you’re stuck. …If you don’t have [the land], then that part of your life is gone, and I think that’s very depressing. 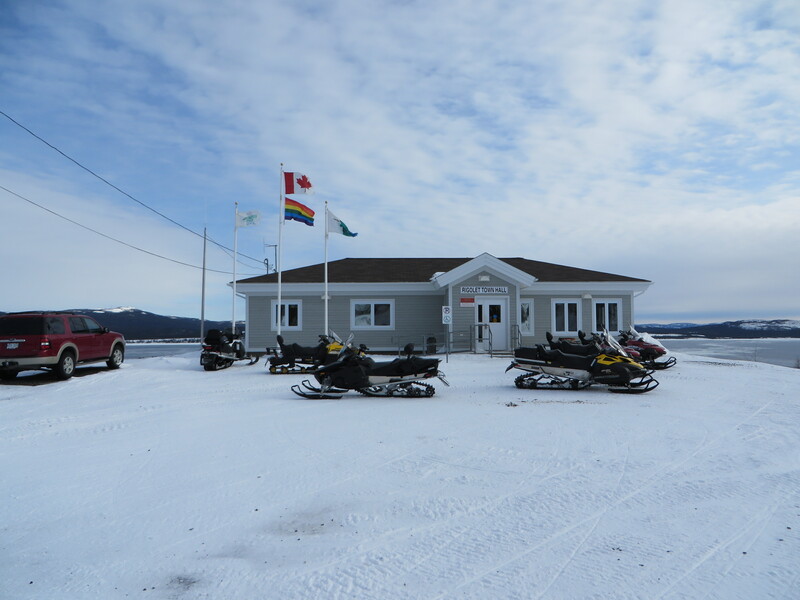 In recent years, temperature changes have impacted snow and ice conditions, wildlife, and vegetation in Rigolet, Nunatsiavut, a remote coastal Labrador Inuit community. This has severely disrupted the community’s ability to live off the land, according to one of the few studies to assess the mental health impacts of climate change. As a central component of this Rigolet community’s culture, being forced to find alternative lifestyles that are less reliant on the land has led to a loss of “place-based solace” and cultural identity. Cultural identity has a powerful impact on a person’s sense of self and shapes the way they relate to other people. More importantly, it can be a key contributor to people’s well being, providing a sense of belonging and security through access to a community with shared values and aspirations. This feeling of trust between people of the same culture increases the social capital, enabling that community to function effectively, which has been shown to improve health and education outcomes. Communities like the Inuit in Rigolet which are intimately connected with the land and its natural processes are some of the first groups to feel the effects of climate changes as they are also often located in geographically threatened areas. Due to this contiguous relationship and the direct link to lifestyles, mental health is bound to be affected. In Rigolet, annual temperatures are increasing more than 1 degree Celsius per decade, which has led to 50% greater sea ice loss in 2012, compared to the 1979-2000 averages. The media tends to highlight the economic and social impacts of environmental changes, such as the loss of livelihood and tradition in the case of the Inuit. However, the discourse fails to adequately explore the impacts of these changes on mental health and well-being, leaving a significant gap in research and initiatives by the government and civil society organizations. A melting glacier in Northern Canada. As the effects of climate change increase in prevalence and scope these impacts of mental health will become widespread. Several articles in the news have recently indicated that climate scientists are experiencing ‘climate trauma’ and ‘pre-traumatic stress disorder’ due to studying climate change and understanding the often grim yet critical findings in the field. As awareness of climate change becomes more far-reaching, strategies to deal with this knowledge in a healthy way must also be within reach. If there is already acute evidence of the direct linkage between climate change and mental health disorders, as seen in the case of Rigolet, alongside compelling indications of widespread emotional distress even from communities that are not facing the direct impacts of climate change, why is it garnering so little attention? Between 2007 and 2018, there were only 208 publications addressing the link between climate change and mental health. Throughout the world, mental illness continues to be under-researched and stigmatized, leading individuals to feel shameful and isolated. However, scientific literature confirms that people exposed to extreme weather events all face psychological problems including anxiety, distress, loss, grief, trauma, and suicide. Moreover, the feeling that climate change is a “creeping problem” makes it difficult for some people to accept it as an urgent reality. 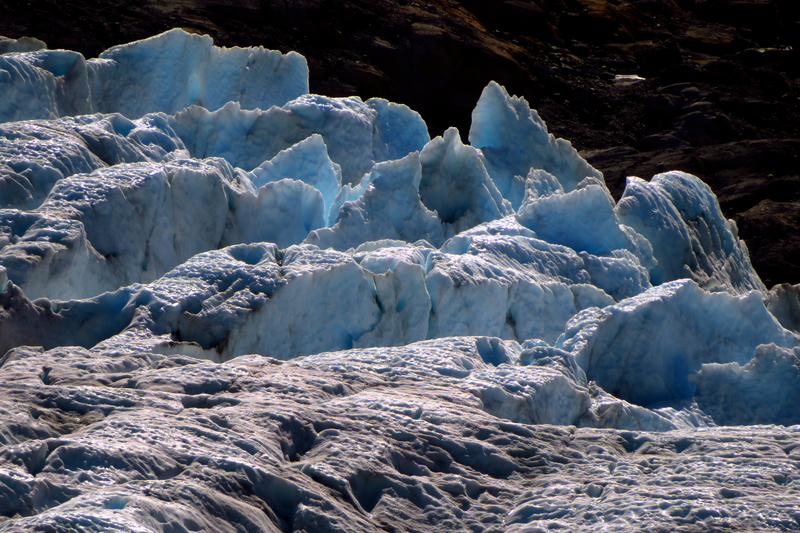 According to George Marshall, a specialist in climate change communications, “We make [climate change] just current enough to accept that we need to do something about it but put it just too far in the future to require immediate action.” This can cause a feeling of perceived helplessness, which can lead to negative mental health impacts. It’s clear there’s a tremendous problem at hand but it feels beyond most people’s scope to take action. Currently, scholars are pointing towards a “systems thinking” approach to tackle the mental health and climate change overlap. This means looking at the big picture and also the details, finding the intersections between geopolitical, socio-economic, ecological, and environmental factors. This will supply policymakers with a holistic understanding of the system so that adaptive pathways can be identified. But, this does not leave any answers for how the individuals who are already affected can improve their mental health in the face of unprecedented levels of environmental change. One of the most prominent coping strategies to date is practicing ‘active hope’, which has been proven to support psychological adaptation. This means taking an active role in addressing climate change. These initiatives don’t need to result in a significant impact on the state of the environment. Rather, by harmonizing a positive vision of the future with personal actions, all the while understanding the bigger picture of climate change, people can keep their head above water. Fortunately, climate change is a phenomenon experienced by entire communities, meaning dealing with its impacts tends to be a shared and mutually supportive experience, which naturally improves chances of building resilience and bettering mental health outcomes. 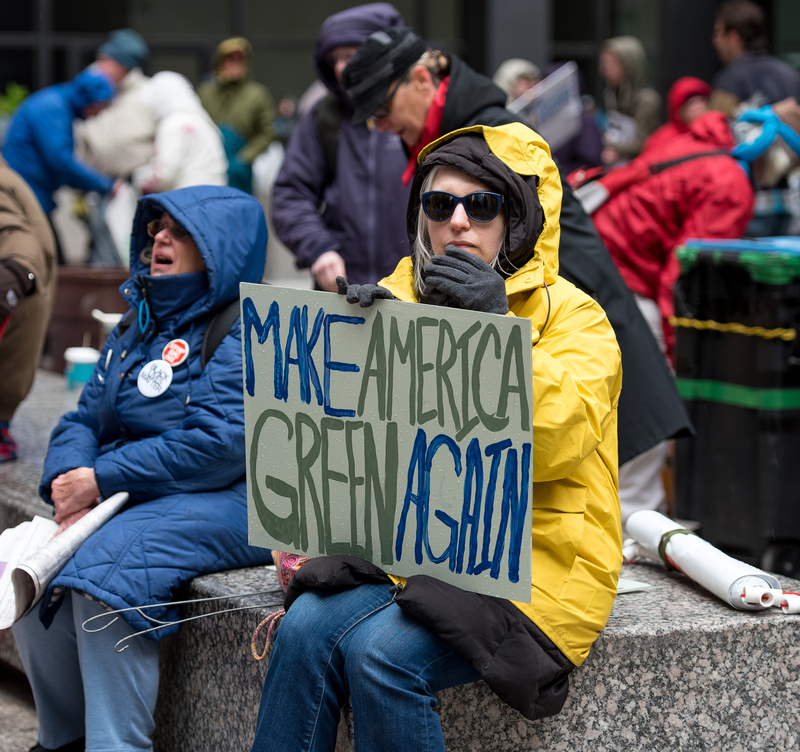 Climate change protest in the United States. It is clear that mental health resources need to be made accessible and inclusive urgently to deal with the direct and indirect impacts of climate change. This requires finding tools to strengthen community cohesion and mindful adaptation strategies to deal with these new realities. In the near future, the use of technology for improving access to therapy and publicizing the correlation and steps towards healing could improve mental health outcomes on a large scale. In parallel, psychologists and environmentalists have to address this issue head-on through further research. Due to stigma and fear, mental health research and awareness is typically behind that of physical health. While this gap continues to shrink, progress needs to be made more rapidly as climate change impacts feel like they’re barreling towards us. Hanna Oosterveen is finishing up her final year at McGill, majoring in International Development Studies and minoring in Management. Ever since her family's morning ritual of watching CNN's Christiane Amanpour over breakfast, she's had a keen interest in pursuing journalism. Through her studies, she's been able to pinpoint which areas pull her in the most. Most recently, climate change and its various impacts on current and future generations is her primary area of focus. In the future, Hanna hopes to study Journalism and settle in her favourite city, Berlin.